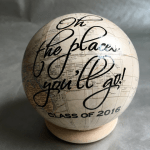 Graduation Gifts don’t need to be expensive or lavish to be treasured. It’s interesting to me, how we choose the things that stay with us. I find that it is rarely the most lavish or expensive gift that finds a permanent spot our lives, but rather it is some token that strikes a cord between giver and receiver that we end up holding on to, or an item that becomes a part of our daily routine. Regarding the later, I’m not one for knickknacks generally, but when I graduated from kindergarten, my Aunt Gwen sent me a pretty little piece from Missouri – a fancy ceramic cup filled with plastic and silk violets, with a kitten curled up next to it. I remembered my mother fussing over it for days. She could not for the life of her understand why Gwen would send such a fragile piece to a five year old, so she eventually commandeered it, tossed the violets, and put it to use in our bathroom as a toothbrush holder. When I left for college, I took it with me, and Mr B and I still use it today for our toothbrushes. It’s not the sort of thing I would normally keep, but after all these years, I have grown very fond of it, and can’t imagine resting my toothbrush anywhere else. Personally, I tend to give gifts of time (which doesn’t fit well in a box), or things I make myself, or some combination of both. However, during this time of year, with all its accompanying end-of-the school year preparations, both time and making can be overwhelming. 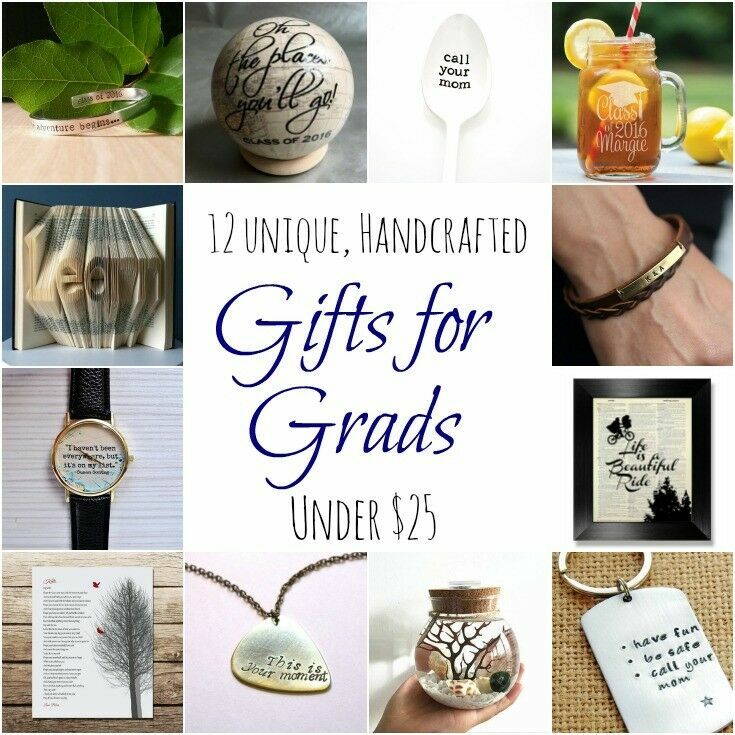 With this in mind, I scoured Etsy to find a few standouts – unique, handcrafted, inexpensive graduation gifts with the potential to make a connection and stand the test of time. “Let the Adventure Begin” Hand Stamped Cuff Bracelet – This bracelet is the perfect gift for the new grad because it is both inspirational & sentimental. 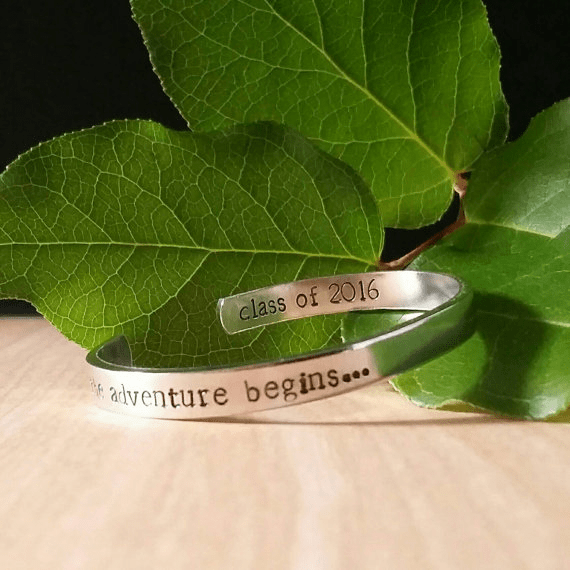 It is hand stamped with the quote “and so the adventure begins…” on the outside and “class of 2016” on the inside. 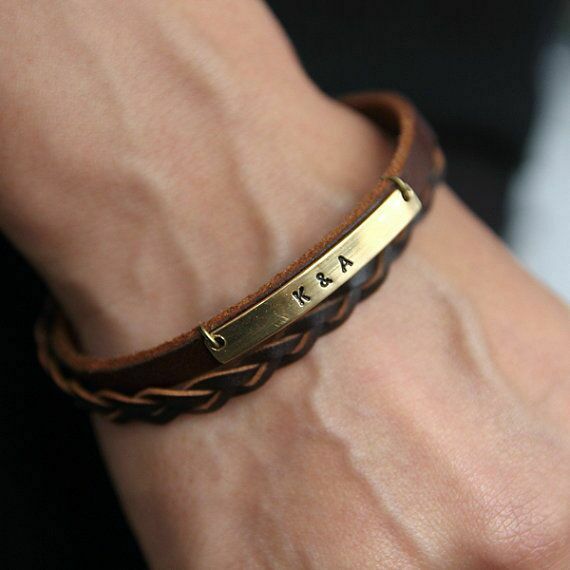 Each letter is individually stamped, making every bracelet truly unique. “Oh the Places You’ll Go” Mini World Desk Globe – With a soft off white hue finish and light wooden circular base, this miniature customized décor piece is aged for a vintage look, and can be customized for any occasion. Available in Blue, Black, Yellow, Tan & Off White (as shown). 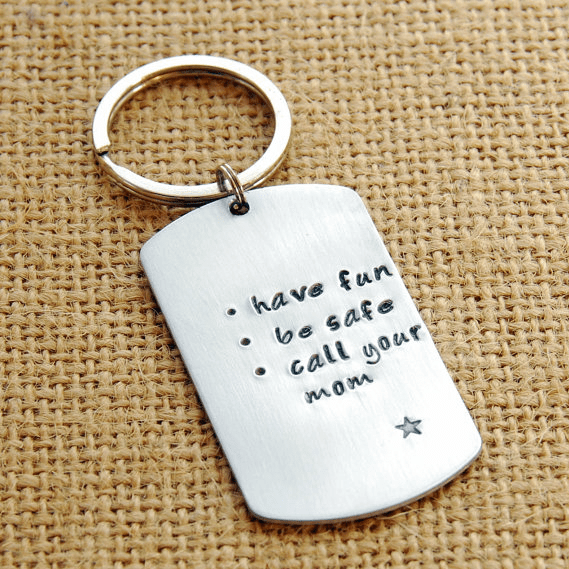 “Have Fun, Be Safe, Call Your Mom” Hand stamped Key-chain – This 1 x 2 inch aluminum rectangle stamped with a phrase we should all remember! 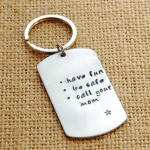 Each keychain can be personalized, and is created by hand stamping each letter and character using steel stamps. Comes packaged in a decorative box, ready for gift giving. 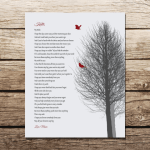 “My Wish” (Lyrics by Rascal Flatts) Personalized Print – These beautiful lyrics are perfect gift for a child that is graduating or starting a new adventure. “I haven’t been everywhere, but…” Quote Watch – As Mark Twain said, “Explore. Dream. Discover”, unleash the hidden YOU. This watch is a great inspiration for any grad who is passionate about travelling & adventure. 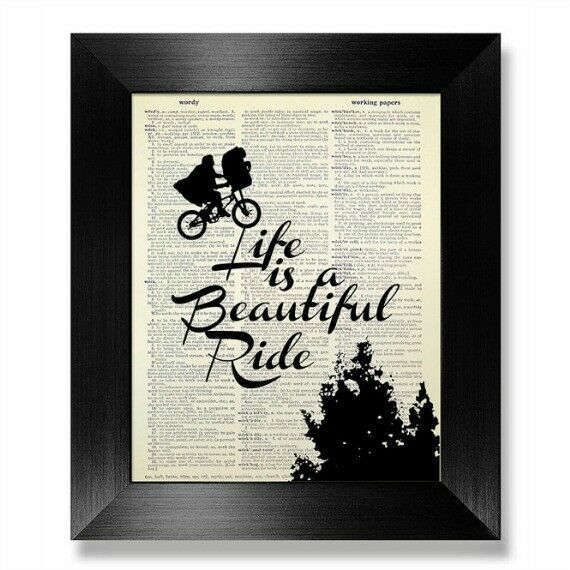 “Life is a Beautiful Ride” – Image is printed directly onto a vintage dictionary page that is 80+ years old, making each one unique. 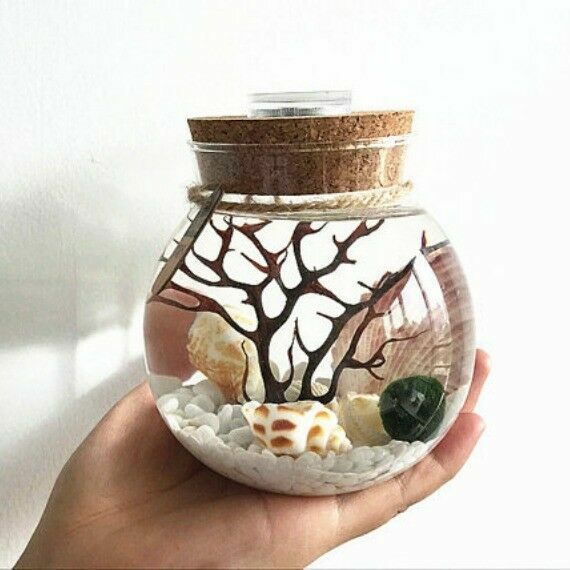 Marimo Aquarium Kit – Marimo (Japanese moss balls) are said to bring a sense of tranquility and calmness. 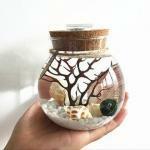 Kit comes with everything you need to create a lovely underwater living environment that will brighten any room. 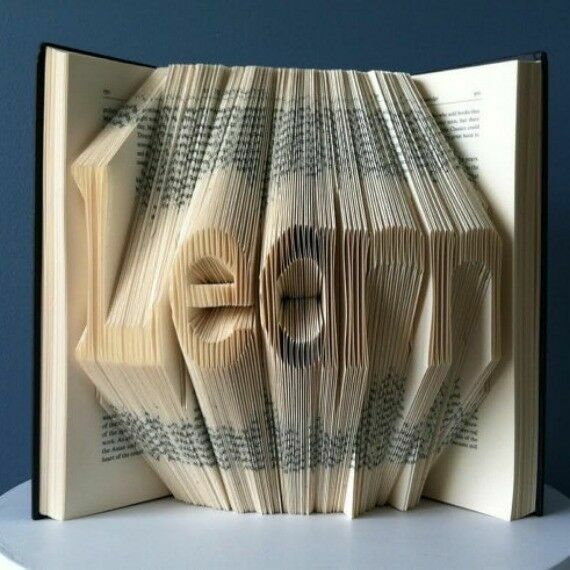 Custom Folded Book Art Sculpture – These handmade sculptures are painstakingly constructed from upcycled discarded books by folding the pages into the desired letters. Great as gifts for any occasion, books are made to order, and can accommodate as many as 10 letters. 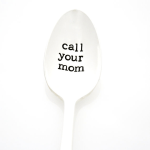 “Call Your Mom” Hand Stamped Spoon – Slip this vintage hand stamped, silver-plated teaspoon into your graduate’s care package with some coffee or cocoa they’ll be reminded to call home each morning when they stir their cup. 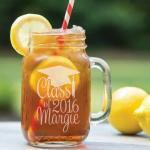 Personalized Graduation Mason Jar – What better way to celebrate! Designs are laser engraved directly into the glass, permanently etched into the drinking glass. 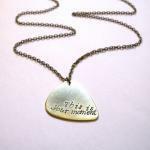 It will not wash or rub off, fade or peel. 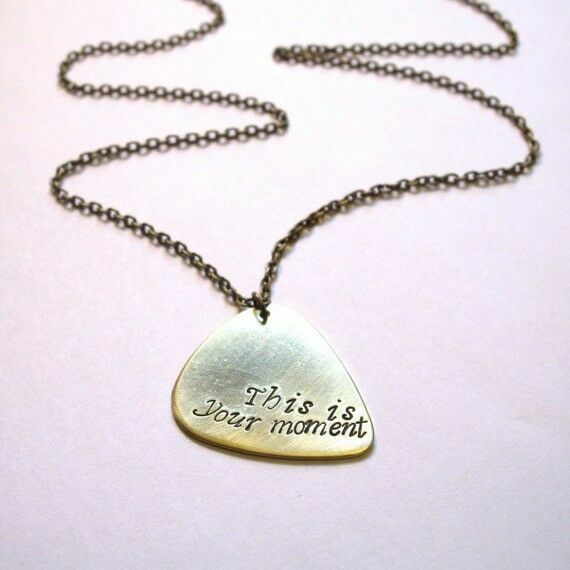 “This is Your Moment” Guitar Pick / Necklace – Inspiring quote is hand-stamped onto a beautiful brass guitar pick that can be worn or used for playing. Comes gift-wrapped, with your choice of chain length of your choice. Personalized Brown Leather Bracelet – Choose your inscription, up to 12 characters. Love the personalized mason jar idea! 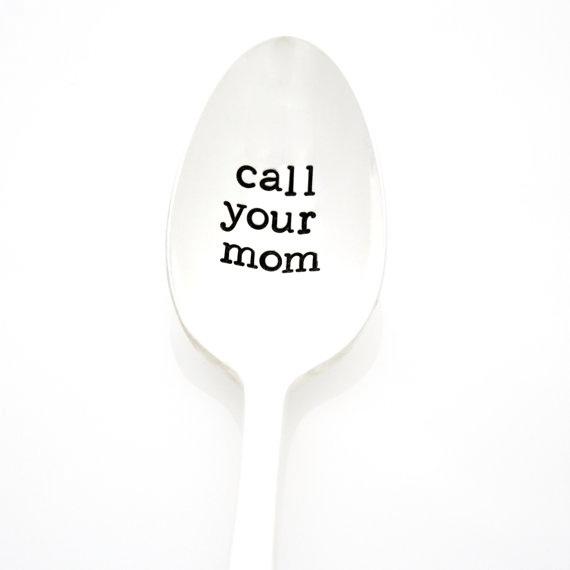 I love the “call your mom” spoon. I love that it’s a fun and playful gift but also completely useful. It’s one of my favorites, too. I love that you’re so attached to the kitten cup. We have a few random things like that at home. I have a super-old dolphin toy I remember playing with at my grandma’s house. It’s one of my earliest memories. When I visited her before she downsized, I took the dolphin home. I absolutely love and cherish it. 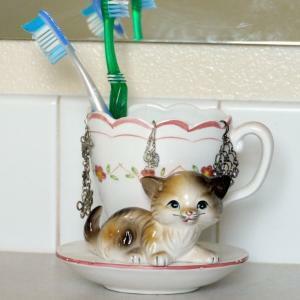 I am very sentimental – that cat cup definitely isn’t the only odd little item hanging around our house! As an artisan myself, I really appreciate that Etsy allows me to connect with others that, in previous times, I would never have been exposed to. Not only is it a great place to shop, but I find it very inspiring as well. I just finished school (college) and I love this list. They are all unique gifts. I’m so glad you like them!! Love all of those ideas. They are super cute & unique. Oh my goodness. I love these ideas especially the watch. 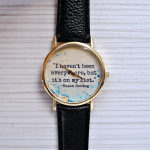 I love the quote and the watch is super cute. I teach high school and have a stack of open house invites on my desk. I love that key chain and would totally buy them for all my seniors, but that would be pricey. I am giving them a coupon (post card) good for a box of cookies made and mailed to them at school. Very clever gift ideas- thanks for sharing. Now I want one of each! I love the aquarium kit. It’s so pretty and unique. I do too! Thanks for stopping by, Aileen.